Are you nuts? Are you… Batty!? This is a dapper bat gentleman. Not a bat man. A bat gentleman. I think bats are cool. 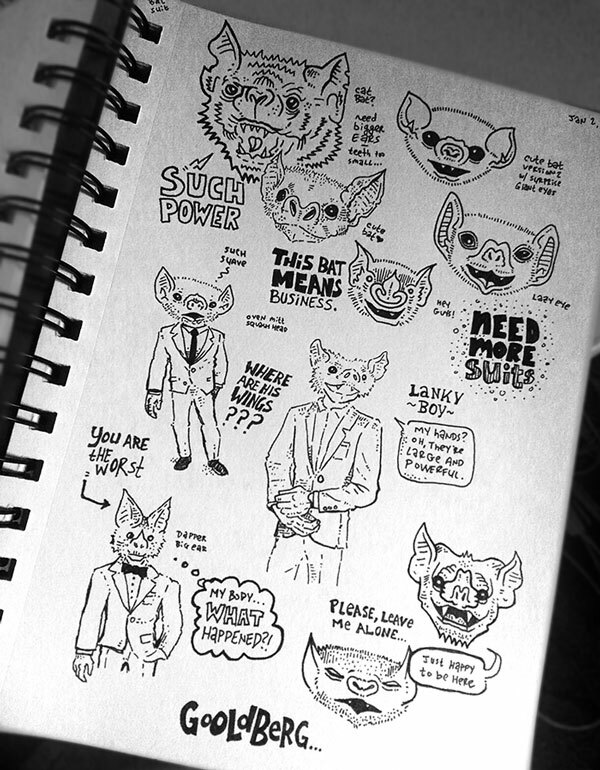 I’m not sure if anything will truly come of these bat doodles, but one thing is for sure… He has to be in a suit. Otherwise the drawing would be guano. You know? It says “Goldberg” on the bottom because I was watching RAW and people were chanting that. Mystery Solved. Previous Sumo… Sumo… SUMO TIME!